I’m a fan of the Graveyard Book by Neil Gaiman, while still recognizing a few flaws. I actually read the book twice in the past six months. The first time, I gulped it all down in a 48 hour period, completely floored by the creativity, the writing, and the characters. The second time, I read a bit more slowly, and closed it feeling like the book is good, but a bit uneven in terms of pace and plot. The Graveyard Book is about Nobody Owens, nicknamed Bod, a young boy whose family is killed when he’s a baby. Toddling out of his crib ahead of the killer, he wanders into the nearby graveyard and is adopted by the kindly Mr. and Mrs. Owens, two resident ghosts. A mysterious guardian, Silas, also cares for Bod, and the boy spends a delightful few chapters learning the ways of the graveyard. He meets a pert yet helpful witch, ventures into a mound that contains the Sleer, discovers a ghoul-gate, and befriends a young girl named Scarlett. The strongest chapters occur right in a row–2, 3, 4, and 5–and the rest of the book is good, but fails to match those initial winning chapters. The engaging beginning of the book centers on Bod’s life in the graveyard. Those chapters are whimsical, creative, and different. Later, after Bod leaves the graveyard to give school with live humans a whirl, the plot still maintains a sense of urgency, but doesn’t quite deliver on the same level as the beginning. The villain of the story, the man Jack, contributes to the slight downshift in the plot quality. The man Jack is introduced in the first chapter, and he’s surely scary and creepy enough to qualify for villain status, but the book never makes clear his motivation for killing Bod’s family. There’s no lightening scar like Harry Potter. Bod’s family has no particular secrets. The man Jack needs to kill Bod to finish his unfinished business, and that’s fine because a villain is needed to drive the plot, but the premise feels a bit thin on a second read-through. I can appreciate that Gaiman didn’t bog down the story with a midichlorian type explanation, but I was left wanting more from the man Jack. One of the chapters I least enjoyed was The Convocation, where the league of Jacks get together to discuss their evil plans. But, that chapter is barely three pages, so I can’t complain too much! One interesting thing to note about the Graveyard Book. Gaiman originally wrote Chapter 4: The Witch’s Headstone, first, and had it published as a short story. That chapter could be read completely independently and still be enjoyed, as could Chapter 3: The Hounds of God and Chapter 5: The Danse Macabre. I highly recommend the Graveyard Book and I send out a virtual cheer to the members of the Newbery Committee who selected it for the honor. 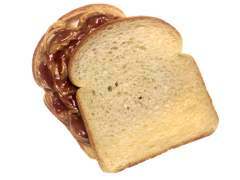 I think that reading and writing go together like peanut butter and jelly. A good writer needs to read, craves reading, lusts after shiny new books in Barnes and Noble and squeezes all their tax dollars out of the library. I’m one of those aspiring writer people, and I’m also an avid reader with eclectic tastes. Although I’m an adult, I enjoy reading young adult and middle grade novels. I also dabble with non-fiction, the occasional literary fiction, and whatever else cries out “read me!” from the shelf. Call of Kairos is a place where I’ll review books, offer thoughts, and invite reader reflections. I think that although books are usually read alone, they’re best appreciated with the insights of others, so please feel free to comment. Since I’m also a writer, I’ll offer reflections on the writing process and other thoughts that fall in the broad category of writing/publishing news.